If your plan is not listed below it does not mean that we are out of network. Many vision companies contract with a third party to underwrite their plans and go by a different name. We are always happy to look up your benefits for you! If we are an out of network provider on your plan then we will work with you to file for out of network benefits on your plan. We are in network for the above insurance company’s PPO and POS plans. If you have an HMO, we request that you call the customer service number on the back of your card to verify that we are an approved provider on your plan, as our network participation varies widely with HMO plans. This is only necessary if you do not have routine vision coverage that you will be using for your visit. We suggest that you call and speak with our insurance department if you have an HMO plan prior to your visit with us. HMO insurance requires that all visits with specialists obtain prior authorization from your PCP and we are a specialty practice. All co-payments are due at the time of the appointment. We accept credit cards (MC, Visa, and Discover), checks (with a drivers license), and cash. We also accept Care Credit. Contact lens orders must be paid in full before we can order the lenses. Most orders arrive to our office within 1-3 business days and ship directly to your home (for free when ordering a year supply) within 7-10 business days. Please call our office if you wish to inquire about contact lens pricing and turnaround time, as we also carry stock of some single vision monthly lenses. All glasses orders must be paid in full before we can dispense the glasses to the patient. For orders over $200 we can accept half payment at the date of purchase and the remainder at the date of dispense. This is because glasses are a custom medical device and the lenses cannot be returned or used for another individual once the lab begins making your prescription. First Eye Care West Plano is dedicated to serving our patients with the highest quality of care. We ask that you help keep our fees at a competitive level by observing the following financial policy. We encourage open discussion of services and fees prior to treatment. It is, ultimately, your responsibility to see that all charges are paid. Please feel free to call our office if you have any questions about your responsibilities or our policies. Since insurance plans vary, we recommend that you be familiar with your plan benefits as they relate to deductibles, co-pays, non-allowed charges, and pre-certification. Your insurance coverage represents a contract between you and your insurance carrier. If you have an insurance policy that requires pre- authorization or referrals for any services or office visits, then it is your responsibility to obtain it in advance. You will be responsible for services rendered that are outside the scope of any referral issued by your insurance carrier. You are expected to be aware of any and all conditions of your insurance coverage. If you need any help, our staff will be happy to assist you through the process. On your insurance card there will be a telephone number, which is the number that you should call for pre-approvals or information on deductibles, co-pays, and pre-certification. You can also use this number to find out what your insurance company allowable is for the proposed treatment. If you have any questions about the requirements of your coverage, please contact your employer or insurance carrier. We cannot interpret policies for you. Please provide us with information on any secondary insurance coverage that you may have, as they may cover your portion of the bill that was not covered by your primary insurance. If your insurance company has denied coverage for the services rendered, it becomes your responsibility to try to overturn the decision, otherwise, the responsibility for payment becomes entirely yours. We will provide you with the information necessary for you to request a review of a denied claim or to follow up on disputed claims. It is your responsibility to follow up on any outstanding claims and to see that your carrier pays promptly. Claims status does not relieve you of your responsibility to pay your bill. Be aware that for some insurance carriers, granting authorization for treatment does not mean that they will actually pay for it. Denial of payment after pre-approval or authorization will make you responsible for the charges. An increasing number of physicians’ offices require full payment at the time of service and the patient is responsible for securing reimbursement from their insurance company. 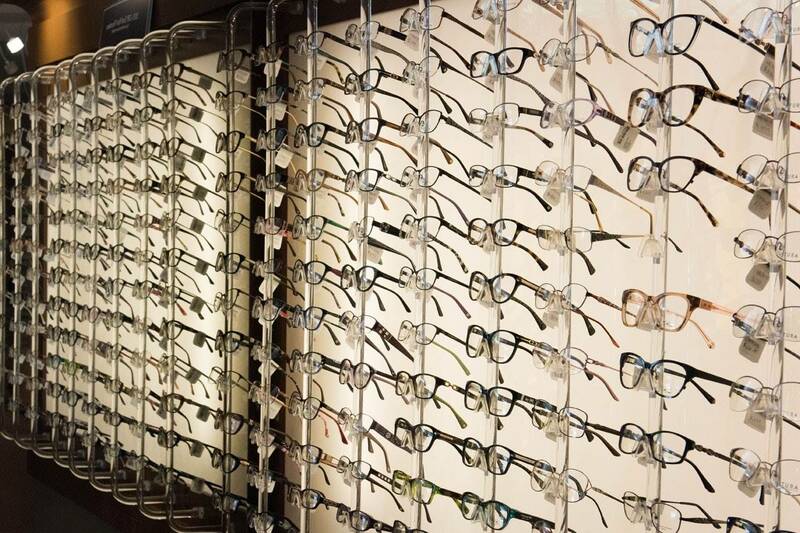 However, filing claims with and accepting benefits assignment from your insurance company is a courtesy to patients provided by First Eye Care West Plano. Because we choose to help make it easier for patients by filing for insurance payments the result is that our doctors often wait 45 days or more for payment. In today’s digital age we are usually able to contact your carrier to determine your “real time” deductible met reflecting the most recent claims other providers have submitted to your insurance carrier prior to your date of service for an estimated patient financial responsibility for services rendered; this estimate includes your co-pay, co-insurance, and deductibles. We may ask to collect any estimated monies that will be due from insurance at the time of service. What is a Co-insurance and a Co-payment? Co-insurance is an insurance policy provision under which the insurer and the insured share costs incurred after the deductible is met, according to a specific formula. More generally, it is the sharing of risk between the insurer and the insured; and it is the part of your bill, in addition to a co-pay, that you must pay. Typically the insurance will pay 80% of the allowable amount, and the insured member is responsible for the other 20%. The co-payment is a pre-set fee determined by your health insurance policy and is the contractual amount you must pay each time you visit the doctor. Your co-insurance and/or co-payment are due at the time of your visit. The deductible is a contractual amount you must, every year, for your medical bills, in addition to your co-payment, before the insurance company will begin paying benefits. The amount is applied to the first claims that are received during the year, and the patient must make payment to the provider of service whenever an amount is applied to their deductible. This amount depends on the type of plan you chose when you signed your contract with your insurance carrier. Please pay unmet deductibles at the time of service if they have been pre-verified or leave a credit card on file so that we may charge it once your insurance company tells us how much you will be responsible for. All patients must complete and/or update our Patient Information Form at each office visit. You must furnish valid and up-to-date proof of insurance coverage and a copy of your driver’s license. We understand that many vision insurance companies do not provide cards; this is another reason that we ask to put your medical card and drivers license on file to serve as proof on insurance. Please notify us of any changes in insurance coverage prior to the time of service. If you provide false or expired insurance information you will be responsible for the balance of the claim. Broken appointments represent not only a cost to us, but also an inability to provide services to others who could have been seen in the time set aside for you. We require 24 hour advanced notice if you need cancel or reschedule your appointment. You will receive an appointment reminder call, email, or text before your scheduled appointment, but is ultimately your responsibility to remember your appointment. We may assess a $25 missed appointment fee for habitually missed appointments. Year supply orders of contact lenses ALWAYS ship for free! There will be a $15 mailing fee charged to cover our administrative mailing costs for any billing statements or optical goods to be sent directly from our office to patients. Non-customary shipping requests may incur additional fees and will be handled on a case by case basis. If for some reason an order must be cancelled after it has already been placed, a $25 restocking fee will be charged and deducted from the patient’s refund amount.